The proclamation of the message of Bahá'u'lláh to the kings and rulers of the world had been initiated in Constantinople when He issued His first Tablet to Sultán 'Abdu'l-Azíz of Turkey. It reached its climax in Adrianople with the revelation of the Súriy-i-Mulúk (Súrih of the Kings), a lengthy Epistle addressed to the kings collectively. It continued with the Tablets which form part of the Súriy-i-Haykal, and it was completed by the revelation of the Kitáb-i-Aqdas in the course of the first few years of Bahá'u'lláh's imprisonment in 'Akká. The Kitáb-i-Aqdas, designated by Bahá'u'lláh as the 'unerring Balance', is the Mother Book of His Dispensation. It is more fully discussed in Chapters 13-17 of this volume. But it is significant that in this Book also Bahá'u'lláh addressed the kings, rulers and ecclesiastical leaders collectively, and some individually. These are some passages gleaned from the Kitáb-i-Aqdas in which Bahá'u'lláh's majestic utterances are directed to the rulers of the world, summoning them to His Cause. O kings of the earth! He Who is the sovereign Lord of all is come. The Kingdom is God's, the omnipotent Protector, the Self-Subsisting. Worship none but God, and, with radiant hearts, lift up your faces unto your Lord, the Lord of all names. This is a Revelation to which whatever ye possess can never be compared, could ye but know it. others and shutting out yourselves from the worlds which naught except My guarded Tablet can reckon. The treasures ye have laid up have drawn you far away from your ultimate objective. This ill beseemeth you, could ye but understand it. Wash from your hearts all earthly defilements, and hasten to enter the Kingdom of your Lord, the Creator of earth and heaven, Who caused the world to tremble and all its peoples to wail, except them that have renounced all things and clung to that which the Hidden Tablet hath ordained...O kings of the earth! The Most Great Law hath been revealed in this Spot, this scene of transcendent splendour. Every hidden thing hath been brought to light, by virtue of the Will of the Supreme Ordainer, He Who hath ushered in the Last Hour, through Whom the Moon hath been cleft, and every irrevocable decree expounded. Ye are but vassals, O kings of the earth! He Who is the King of Kings hath appeared, arrayed in His most wondrous glory, and is summoning you unto Himself, the Help in Peril, the Self-Subsisting. Take heed lest pride deter you from recognizing the Source of Revelation, lest the things of this world shut you out as by a veil from Him Who is the Creator of heaven. Arise, and serve Him Who is the Desire of all nations, Who hath created you through a word from Him, and ordained you to be, for all time, the emblems of His sovereignty. Say: O King of Berlin! Give ear unto the Voice calling from this manifest Temple: Verily, there is none other God but Me, the Everlasting, the Peerless, the Ancient of Days. Take heed lest pride debar thee from recognizing the Dayspring of Divine Revelation, lest earthly desires shut thee out, as by a veil, from the Lord of the Throne above and of the earth below. Thus counselleth thee the Pen of the Most High. He, verily, is the Most Gracious, the All-Bountiful. Do thou remember the one whose power transcended thy power, and whose station excelled thy station. Where is he? Whither are gone the things he possessed? Take warning, and be not of them that are fast asleep. He it was who cast the Tablet of God behind him, when We made known unto him what the hosts of tyranny had caused Us to suffer. Wherefore, disgrace assailed him from all sides, and he went down to dust in great loss. Think deeply, O King, concerning him, and concerning them who, like unto thee, have conquered cities and ruled over men. The All-Merciful brought them down from their palaces to their graves. Be warned, be of them who reflect. In the above passages, Bahá'u'lláh refers to Napoleon III as the 'one whose power transcended thy power', and summons the Emperor to heed His call. But it was a call which remained unheeded. Soon after the revelation of these words, repeated tragedies and disasters involving the members of the royal family brought much gloom to the Emperor's reign. These were only precursors to the final dissolution of a dynasty which had lasted for almost five hundred years, and the dismemberment of a mighty empire. † vol. 2, p. 58.
and severely condemned its rulers since His days in Constantinople. * see above, p. 87. 5. Quoted by Shoghi Effendi, 'Unfoldment', The World Order of Bahá'u'lláh, p. 178. The downfall of Sultán 'Abdu'l-Azíz, the end of his shameful reign and that of his successors, the extinction of a dynasty which had lasted for six and a half centuries, the dismemberment of an empire which had once stretched as far as Hungary in Europe to the Caspian Sea in Asia and to Oran in Africa, and above all the collapse of the Caliphate, the most powerful institution in Islám--all these took place in that short period of time after the 'Prisoner of 'Akká' had issued His clear warnings of the dire retributive calamities which were to descend upon the despotic rulers of the Land of Turkey. The orders which these foes issued, the banishments they decreed, the indignities they inflicted, the plans they devised, the investigations they conducted, the threats they pronounced, the atrocities they were prepared to commit, the intrigues and baseness to which they, their ministers, their governors, and military chieftains had stooped, constitute a record which can hardly find a parallel in the history of any revealed religion. The mere recital of the most salient features of that sinister theme would suffice to fill a volume. They knew full well that the spiritual and administrative Centre of the Cause they had striven to eradicate had now shifted to their dominion, that its leaders were Turkish citizens, and that whatever resources these could command were at their mercy. That for a period of almost three score years and ten, while still in the plenitude of its unquestioned authority, while reinforced by the endless machinations of the civil and ecclesiastical authorities of a neighbouring nation, and assured of the support of those of Bahá'u'lláh's kindred who had rebelled against, and seceded from, His Cause, this despotism should have failed in the end to extirpate a mere handful of its condemned subjects must, to every unbelieving observer, remain one of the most intriguing and mysterious episodes of contemporary history. that the insidious forces of decay, which for many a long year were eating into the vitals of a diseased nation, were now moving towards a climax. A series of internal convulsions, each more devastating than the previous one, had already been unchained, destined to bring in their wake one of the most catastrophic occurrences of modern times. The murder of that arrogant despot in the year 1876; the Russo-Turkish conflict that soon followed in its wake; the wars of liberation which succeeded it; the rise of the Young Turk movement; the Turkish Revolution of 1909 that precipitated the downfall of 'Abdu'l-Hamíd; the Balkan wars with their calamitous consequences; the liberation of Palestine enshrining within its bosom the cities of 'Akká and Haifa, the world centre of an emancipated Faith; the further dismemberment decreed by the Treaty of Versailles; the abolition of the Sultanate and the downfall of the House of 'Uthmán; the extinction of the Caliphate; the disestablishment of the State Religion; the annulment of the Sharí'ah Law and the promulgation of a universal Civil Code; the suppression of various orders, beliefs, traditions and ceremonials believed to be inextricably interwoven with the fabric of the Muslim Faith--these followed with an ease and swiftness that no man had dared envisage. 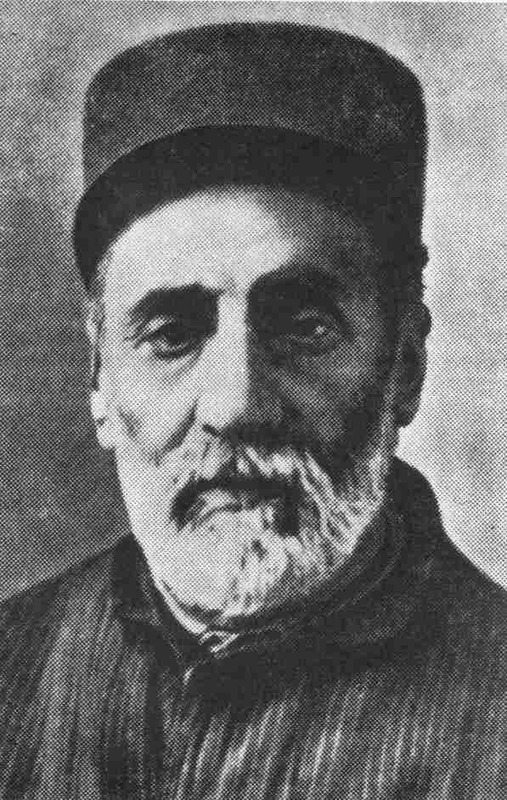 In these devastating blows, administered by friend and foe alike, by Christian nations and professing Muslims, every follower of the persecuted Faith of Bahá'u'lláh recognized evidences of the directing Hand of the departed Founder of his religion, Who, from the invisible Realm, was unloosing a flood of well-deserved calamities upon a rebellious religion and nation. reared a pagan colony on the mount of Zion, massacred the Jews, and exiled and dispersed the survivors? 7. 'Unfoldment', idem, pp. 173-6. 10. Quoted by Shoghi Effendi, The Promised Day Is Come, p. 72.
dramatically changed the whole system of political and governmental institutions. In His Writings, Bahá'u'lláh has given three signs for the maturity of mankind. One is the above statement concerning the decline in the fortunes of kings. Another, to which we have made a reference in the previous volume,* is the transmuting of elements, the achievement of alchemy. The third, mentioned in the Kitáb-i-Aqdas, is the adoption of an international auxiliary language. * vol. 2, p. 268. 11. Quoted by Shoghi Effendi, The Promised Day Is Come, p. 72. The Bahá'í teachings envisage the re-establishment in the future of properly functioning constitutional monarchies in various countries of the world. 13. Quoted by Shoghi Effendi, The Promised Day Is Come, p. 76. 14. Quoted by Shoghi Effendi, The Promised Day Is Come, p. 73.
us. He illumined our eyes by the effulgent rays of His countenance. He showered upon us His loving kindness, asked about our journey and the state of the friends in various towns, and breathed into our hearts the spirit of joy and gladness. ‡ On the revelation of the Word of God see vol. 1, pp. 18-44. One day Bahá'u'lláh informed my father that He would be visiting us in the afternoon. That day He arrived with a few of his disciples. We were both highly honoured by His presence and immersed in the ocean of His grace and bounties. After some time He arose to depart. We accompanied Him to the door and as He went out, He signalled to us not to accompany Him further. I watched from behind His graceful stature and the majesty of His walk, until He disappeared from my sight. I was so carried away, and in that state I said to myself: What a pity! If only the kings of the world could recognize Him and arise to serve Him, both the Cause and the believers would be exalted in this day. to be a Bahá'í he was respected by a great many non-Bahá'ís who often turned to him for help and advice. Some years after the ascension of Bahá'u'lláh he attained the presence of 'Abdu'l-Bahá and basked in the sunshine of His love for some time in 'Akká. During Shoghi Effendi's ministry too he was twice given the privilege of visiting the Holy Land, where he had the honour of going into the presence of Shoghi Effendi almost every day during his pilgrimage. Hájí Sháh Khalíl'u'lláh was a great teacher of the Faith. Through his loving disposition he attracted many people to the Cause of God. His spiritual qualities, coupled with the burning love he cherished for Bahá'u'lláh and His Faith, made him an outstanding Bahá'í who warmed the hearts of the believers wherever he went. Another category of people who wielded enormous power was the clergy. Throughout the whole period of recorded history these men held the reins of power in their hands, and guided the masses in their ways. This was perhaps necessary as in former days most people were illiterate and needed to be led by someone. The authority with which religious leaders acted within the community, both in the East and the West, was so deeply rooted in the hearts of people that even kings were bound to obey them. To cite one example: the kings of the Qájár dynasty in Persia ruled as powerful dictators of a totalitarian regime. At one stage, one of the leading divines of Persia had forbidden people to smoke. Although this order did not last very long, everyone had to obey it until it was rescinded. Even the Qájár King in his palace did not dare to smoke. Such was the sway of the word of the clergy when Bahá'u'lláh appeared! With a stroke of His mighty Pen, He abolished the institution of priesthood and announced that He had seized their power, a power they had wielded from time immemorial. Say: O leaders of religion! Weigh not the Book of God with such standards and sciences as are current amongst you, for the Book itself is the unerring balance established amongst men. In this most perfect balance whatsoever the peoples and kindreds of the earth possess must be weighed, while the measure of its weight should be tested according to its own standard, did ye but know it. 18. Quoted by Shoghi Effendi, The Promised Day Is Come, p. 91. ["O heedless one!..."] Epistle to the Son of the Wolf, p. 99.
of all knowledge; and yet, behold how ye have allowed your learning to shut you out, as by a veil, from Him Who is the Dayspring of this Light, through Whom every hidden thing hath been revealed. Could ye but discover the source whence the splendour of this utterance is diffused, ye would cast away the peoples of the world and all that they possess, and would draw nigh unto this most blessed Seat of glory. When We observed carefully, We discovered that Our enemies are, for the most part, the divines. We, verily, have sounded the Trumpet, which is Our Most Sublime Pen, and lo, the divines and the learned, and the doctors and the rulers, swooned away except such as God preserved, as a token of His grace, and He, verily, is the All-Bounteous, the Ancient of Days. O concourse of divines! Fling away idle fancies and imaginings, and turn, then, towards the Horizon of Certitude. I swear by God! All that ye possess will profit you not, neither all the treasures of the earth, nor the leadership ye have usurped. Fear God, and be not of the lost ones. Say: O concourse of divines! Lay aside all your veils and coverings. Give ear unto that whereunto calleth you the Most Sublime Pen, in this wondrous Day. 21. Quoted by Shoghi Effendi, The Promised Day Is Come, pp. 85-6. ...The decline in the fortunes of the crowned wielders of temporal power has been paralleled by a no less startling deterioration in the influence exercised by the world's spiritual leaders. The colossal events that have heralded the dissolution of so many kingdoms and empires have almost synchronized with the crumbling of the seemingly inviolable strongholds of religious orthodoxy. That same process which, swiftly and tragically, sealed the doom of kings and emperors, and extinguished their dynasties, has operated in the case of the ecclesiastical leaders of both Christianity and Islám, damaging their prestige, and, in some cases, overthrowing their highest institutions. 'Power hath been seized' indeed, from both 'kings and ecclesiastics.' The glory of the former has been eclipsed, the power of the latter irretrievably lost. It was these divines, who, by these very acts, sowed the seeds of the disintegration of their own institutions, institutions that were so potent, so famous, and appeared so invulnerable when the Faith was born. It was they who, by assuming so lightly and foolishly, such awful responsibilities, were primarily answerable for the release of hose violent and disruptive influences that have unchained disasters as catastrophic as those which overwhelmed kings, dynasties, and empires, and which constitute the most noteworthy landmarks in the history of the first century of the Bahá'í era. Bahá'u'lláh proclaimed His Message to the leaders of the world collectively and to a few monarchs individually. But this proclamation was not meant only for the kings or religious leaders alone. The peoples of the world had to hear it also through their leaders as there was no other form of communication. The mass media of today was non-existent in the days of Bahá'u'lláh. It was God's purpose that leaders of the world hear the advent of His Manifestation, respond positively to His summons, embrace His Cause and communicate His Message to their peoples. But no one responded. Yet God had fulfilled His role in His Covenant with man by vouchsafing His Revelation to mankind and proclaiming it to him. It now rested with man to respond of his own volition to the call of His Creator. 22. Quoted by Shoghi Effendi, The Promised Day Is Come, pp. 76-7.
indicates that all the nations and major religions of the world were given the opportunity to hear of His coming. Probably one exception was the Jewish people as they did not belong to a particular state at the time. One year before His passing, Bahá'u'lláh had made a remark concerning His proclamation to the rulers of the world. He is reported to have said that by then He had fully proclaimed His Mission to the crowned heads of the world, but He desired to convey the Message of God to Baron Rothschild* who could be considered as the leader of the Jewish people at the time. This remark was addressed to a believer of Jewish descent, Mírzá 'Azízu'lláh-i-Jadhdháb who had gone to 'Akká to attain the presence of Bahá'u'lláh for the third time in the year AH 1308 (AD 1891). Bahá'u'lláh directed him to write to Baron Rothschild and proclaim the Faith to him and if possible pay him a visit. The story of the life of Mírzá 'Azízu'lláh and his services to the Cause of God are interesting and inspiring indeed. He was of Jewish descent. His father, living in the city of Mashhad, was a learned man and well versed in the Old Testament and other religious books. He used to teach the Old Testament to the Jewish youth. Pure-hearted and with great insight into religious matters, he recognized the truth of the Faith of Islám and secretly declared his conversion to the Muslim authorities. With the exception of his wife, no other members of the Jewish community, not even his own children, were aware of his conversion to Islám. This was about sixteen years before the birth of the Bábí Faith. In particular, he advised his family to watch for the coming of the Lord of Hosts, as he had discovered according to the Holy Books that His advent was at hand. * Probably Baron Nathaniel Mayer, Lord Rothschild of London (1840-1915), then considered the lay head of world Jewry; or else Baron Edmond de Rothschild of Paris (1845-1934) the great benefactor of thousands of Jews then settling in Palestine. the Muslims. All the surviving Jews took refuge in the homes of Muslim clergy and in order to save their lives, agreed to accept the Faith of Islám. They were officially converted by the clergy, but, of course, in secret they practised the Jewish Faith. Although their lives had been saved, the Jews newly converted to Islám continued to live in a separate quarter of the city and were not fully integrated with the Muslim community. They were referred to as the 'newcomers' and were still persecuted by the Muslims. Mírzá 'Azízu'lláh lived in this community. He went to a Muslim school as a child, but soon left it. Instead, he learnt the Old Testament, became fully acquainted with the Jewish Faith, and practised it in secret. Although his education was elementary, he became a successful merchant and emerged as a man of ability and enterprise. The first time he heard the word 'Bahá'u'lláh' was when one of his brothers, who had become a Bahá'í, mentioned the story of the martyrdom of Badí' to him. But Mírzá 'Azízu'lláh, being very staunch in the Jewish Faith, did not show any interest, and the brother did not pursue the matter any further. Some time passed and the two brothers had to undertake a series of journeys together on business. In the course of these journeys Mírzá 'Azízu'lláh decided to polish up his elementary knowledge of reading and writing Persian. Being a talented man, it did not take him very long to become proficient as a reader. In my dream, I heard the announcement that the Lord of Hosts, the Promised One of all ages, had appeared, and that He was inspecting the company of the Prophets and all their followers. I went along immediately to the appointed place. I saw a vast place on which multitudes of people were assembled in lines. Each prophet along with his followers was seated facing the Qiblih. * I was surprised by the extraordinary light and vision which was given to my eyes, as I could easily see all the people lined up in that vast area. * literally: point of adoration. A point to which the faithful turn at the time of prayer. † head-dress similar to the one that Bahá'u'lláh used to wear. 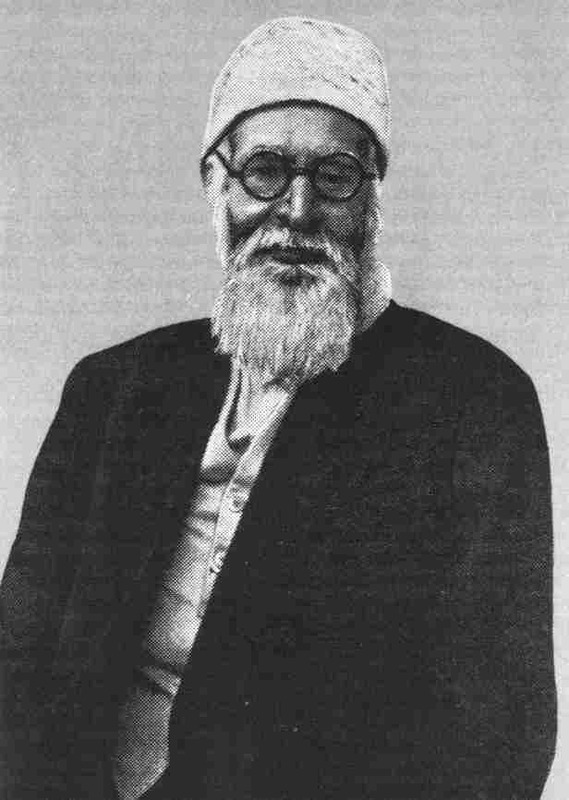 During his stay in 'Akká, Mírzá 'Azízu'lláh attained the presence of Bahá'u'lláh and 'Abdu'l-Bahá many times. As a result, he became endowed with a new spirit of faith and assurance. The first time that he attained the presence of Bahá'u'lláh, he witnessed the revelation of Bahá'u'lláh's Tablets and heard His voice as He revealed them. This experience left an abiding impression upon him. The only regret he had was that he could not read Arabic and hence was unable to fully appreciate the Holy Writings. This was because he had left school so young and had missed the opportunity to learn Arabic. He felt remorseful over this. Someone in 'Akká volunteered to teach him Arabic, but he declined the offer as he had no time or patience to learn a language so vast in vocabulary and so complex in grammar. The next day when he attained the presence of Bahá'u'lláh, he approached Him by way of the heart and begged that through His bountiful favours, He might enable him to understand Arabic without going through the usual method of learning the language. His wish was granted, and Mírzá 'Azízu'lláh one day became very excited when he found himself reading and understanding the Qur'án and the Tablets of Bahá'u'lláh in Arabic. Unfortunately the memoirs of Mírzá 'Azízu'lláh are not conclusive in that there is no mention of whether he succeeded in meeting the Baron or not. † A member of the Afnán family who ran a business in Istanbul. 24. From the memoirs of Mírzá 'Azízu'lláh-Jadhdháb, quoted by Sulaymání, Masábih-i-Hidáyat, vol. 7.